GALVANIZED CROSS WALL DÉCOR by Accent Plus home decor, jewelry, decor, decorations, electronics, fountains, floor mats, art glass, vases, garden essentials, fireplace screens. Bless your home with stylish decor! 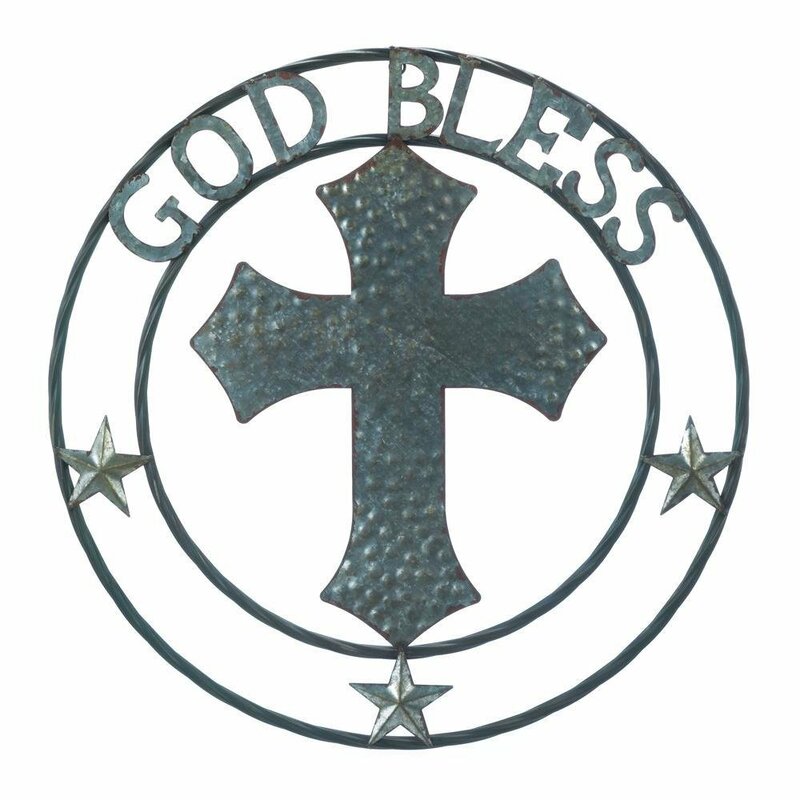 This lovely galvanized metal wall sign features a textured cross, three stars, and the phrase "God Bless" at the top. Material(s): METAL. Weight 2.2 pounds. Dimensions 24" x 24" x 0.5".